please specify up to two lines and 15 characters (including spaces) per line in item message box. Our exceptional flight logs have been updated to comply with the latest regulations, and are still the finest available. New column headings for holding procedures and navigation tracking make the tedious job of tracking proficiency easier, and extra blank columns allow for expanded remarks. Plus, an optional personalized plaque for the cover makes our logbooks something to be proud of. Only the finest materials are used in the construction of these logs. 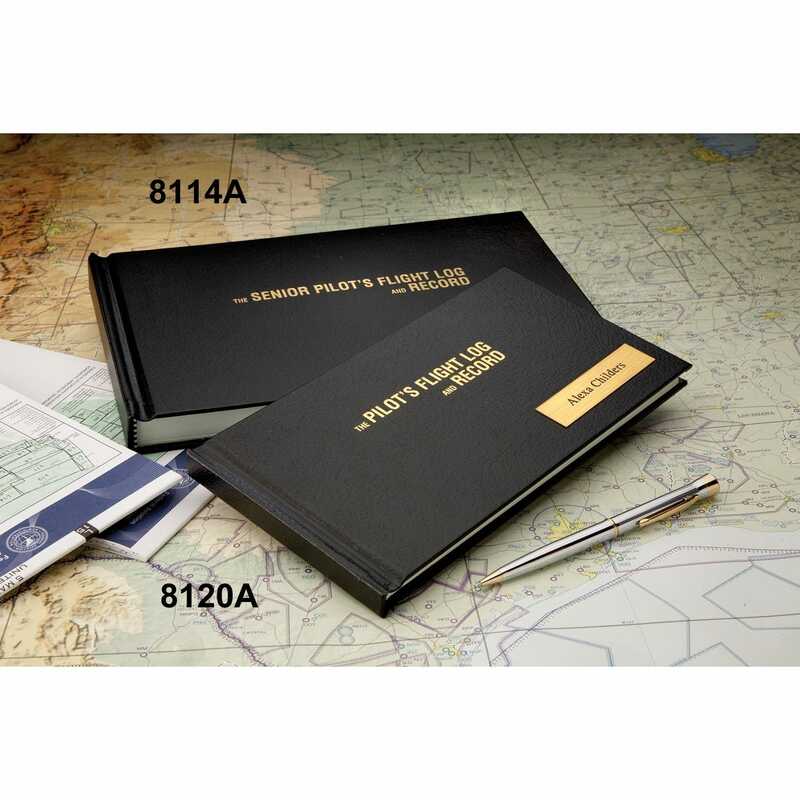 The result is a handsome, durable logbook for recording a lifetime of flying. Premium grade, mint green ledger paper is a pleasure to inscribe, and a rugged yet elegant cover safeguards your aeronautical records for years to come. Thoughtful, logical design and quality construction make these the finest flight logs available. There is no comparison—an exceptional value! 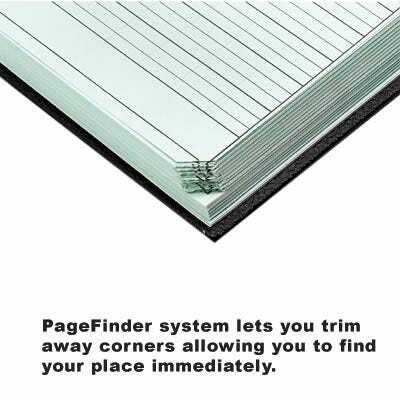 PageFinder™ system lets you trim away corners allowing you to find your place immediately. Far and away the most comprehensive and practical logbook available. Each flight log spread includes 32 total columns. 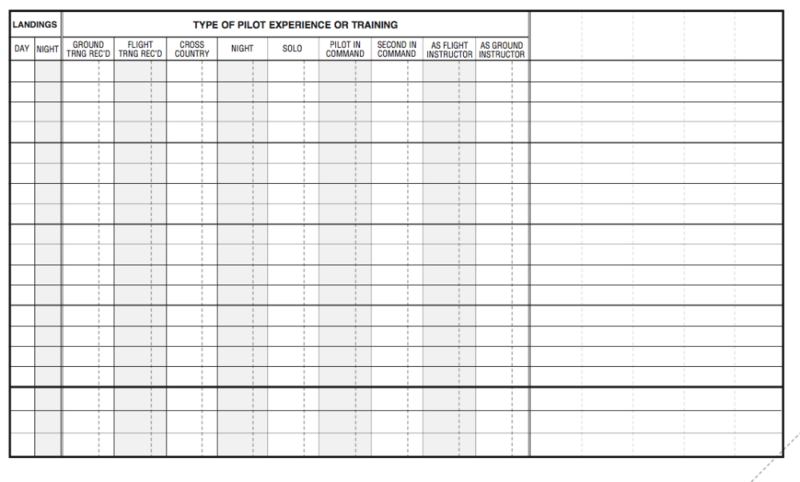 Seven blank columns allow the pilot to customize the logbook to meet individual requirements or to make additional comments. Annual Summary pages allow the user to record experience by monthly, semi-annual and annual periods for “at-a-glance” reference. Contains 272 total pages: 123 flight log spreads (246 pages), 2 annual summary pages, seven pages of endorsements and six ruled pages for recording additional memoranda. Also includes a page for recording dates of medicals, flight reviews, instrument proficiency and more. Overall measurements are 10 1/4"l x 6 1/4"w x 1"d.
Got one years ago for Christmas. When I filled it, I didn't hesitate to order a new one. Besides, it fits perfectly in my Sporty's case that my wife had embroidered! Just like the one I have and more than meets my needs. The only reason why i dont give it 5 stars is because my logbook arrived with a dent in it. Packaging could have been bubble wrapped. Sportys did great on replacing a damaged item. This was not the fault of the company but FedEx lack of professionalism. I paid extra for 2day and it almost made it here and then shipped to another state. I called and it was fixed but damaged. I called again and was immediately replaced. My last logbook this same size has lasted me over 40 years and I just finished filling it up! I’m hoping to fill this one up this next forty years! . REALLY!!! Great Service ! A little type error on my log book but i am ok whit it the word we was used instead of I . This is my second senior logbook but I have had to change pens. In the past I used an ink type but it bleeds through the page. Had to go to using a regular ball point pen. Not a big deal but I do prefer the fine ink pens. Must be cheaper paper or something from previous books. Delivered as promised and very fast. Thanks for the custom engraving! Great logbook for the professional pilot who still uses a paper logbook. Great logbook! It has all the fields that I need and looks very durable. Sporty's, can you post a photo of the left side of the page? I only see a picture of the right side in the description. BEST ANSWER: Great idea - we just added new pictures of both pages. Does this fit the larger senior pilot logbook that you sell? BEST ANSWER: The senior pilot logbook will not fit in this organizer. The dimensions of the large log book case organizer are 11.5" L x 7.5" w. The senior pilot logbook description says it measures 9"l x 4 3/4"w x 1/2"d. It seems like the senior log book would fit inside the large logbook case. Am I missing something? If the senior log book doesn't fit, it looks like the Jepp Pro logbook should. How can i engrave my name which is slightly bigger than 15 characters mentioned there? BEST ANSWER: How many characters? 6 characters in my first name & 10 in my last name. So total 17 including space. We can place the first name on one line and the last name on the second line. We may also be able to put them together but the font would be smaller. does this logbook have solo endorsements ? BEST ANSWER: Yes, it contains all of the endorsements for Student, Sport, Recreational, Private, Commercial and CFI. It also has spaces for flight review and Instrument Proficiency Checks. Does the logbook have a preprinted column for Helicopter time? BEST ANSWER: No, but there are a number of blank columns you can use to create one. Have the endorsements been updated to reflect AC61-65H? Hi, is this EASA compliant? Is this a good logbook to buy for somebody who will start flight training soon? BEST ANSWER: Yes, this is what most of our students use. Does a space count as a character? My name is 16 characters long if a space is counted. BEST ANSWER: Yes, spaces count as characters. Can you post a picture of the cover? BEST ANSWER: The cover is black and looks like item 8120 only wider. Does it have a US citizen endorsement? BEST ANSWER: It does not but has plenty of space it write in the endorsement. Does this have a pocket inside the cover like the Jeppesen Professional Logbook? BEST ANSWER: It does not have a pocket on the inside of the logbook. Is there a section in the back for recording aircraft flown? I believe the jepp logbook has that, and I really want to know if this one has something similar? BEST ANSWER: This logbook does not have a place in the back to record aircraft flown. 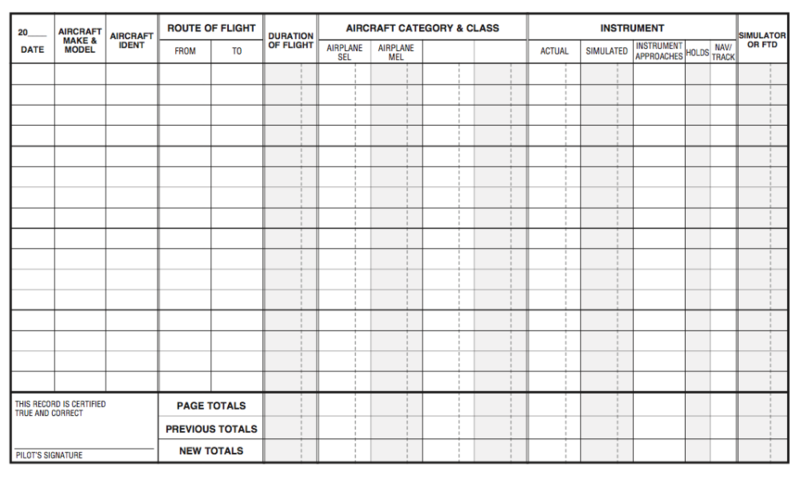 Each aircraft is identified on each line of this log book. BEST ANSWER: These are printed in the US. Hello can i request a column to log Turbine time? BEST ANSWER: There are blank columns so you can create your own totals, including turbine.